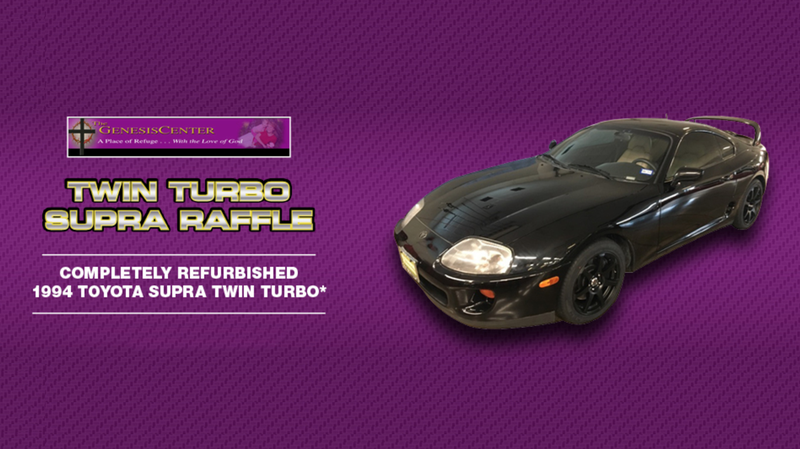 To raise funds for a Texas nonprofit helping women and children, a Toyota dealership held a raffle for a restored twin-turbo 1994 Toyota Supra. But when they announced the results, it didn’t take long for people to realize the winner was the general sales manager’s wife. Now, the dealership taking a ton of heat. According to local newspaper Blue Ribbon News, the Dallas-area Toyota of Rockwall dealership held the raffle with tickets selling for $20 apiece or six for $100. All ticket proceeds went to the Genesis Center of Kaufman County, which “offers counseling, shelter, resources for daily needs, parenting classes, job services, medical referrals and spiritual mentoring,” according to its website. Schoenle said she called Toyota of Rockwall, and the folks there led efforts to refurbish the car. The dealership gave it new leather seats, new paint, new tires and new tint at no charge, Schoenle said. There were also five other companies involved in restoring the car, with Blue Ribbon News reporting that they spent a total of $17,000 to make the car’s restored value around $30,000. The dealership printed 4,000 raffle tickets, with the proceeds from each going to the Genesis Center. The dealership later announced that it raised more than $50,000 for the center. The name of the dealership’s general sales manager is Danny Rawls, whose name is close to that of the “Rebecca Rawl” announced by the dealership’s Facebook page. That’s because they’re married, and the dealership claims to have made a typo in the original announcement. The statement continued by saying that Rebecca Rawls planned to sell the car for additional money to be contributed to the Genesis Center. The statement came more than a week after the drawing and after much public backlash, so it isn’t clear whether selling the car for additional funds to be given to the center was the original intent. A Facebook commenter shared a photo 12 hours prior to this posting of an eBay listing of the car under seller “rawlsdanny09,” with current bids at $22,100. The listing could not be found when searched for at the time of this post. My name is Charles Pankey and I am the general manager and I have to say a few things. There seems to be a lot of people on here trying to stir this up into what it isn’t. The winners of the car pledged to donate 100% of the funds back to The Genesis Center, hopefully another $25,000. That would put the total amount to nearly $75,000 to help fight domestic violence. I spent a considerable amount of time to help The Genesis Center raise the money that they did and I was excited when I heard the winners were essentially giving back what they won to the Genesis Center, a place that helps those effected with domestic violence. Lets not forget that this is all for a charitable cause. If selling the car was the original intent of the winners, it is, of course, a lot more money going to a seemingly worthy cause. But it doesn’t clear up the fact that in most public contests of any kind, employees and family of employees are not permitted to enter due to the conflict-of-interest concerns that arise when something like this occurs. Jalopnik has reached out to Toyota of Rockwall for additional comment and will update if we hear back. Update, April 24 at 12:48 p.m. ET: After multiple attempts to access its page from different Facebook accounts, it appears that Toyota of Rockwall has deactivated its Facebook page. Update, April 24 at 6:51 p.m. ET: The dealership’s general manager, Charles Pankey, sent along an official statement from the president of Toyota of Rockwall. It is as follows. The company’s Facebook page appears to have been reactivated.